Cultural tour Golden Ring of Georgia is not for those who like to sit in the hotel. This tour includes visiting the famous sights of Georgia. 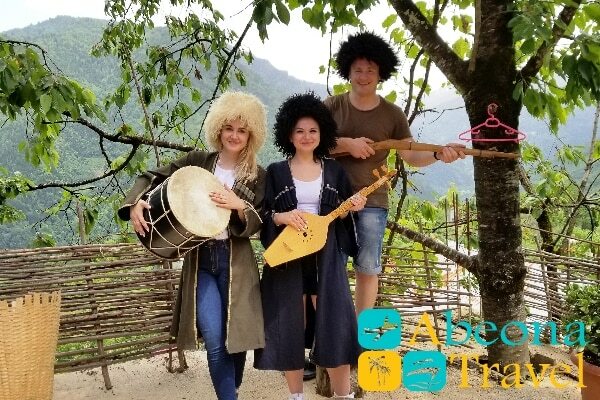 If you would like to get acquainted with history, culture and religious then the tour “Golden Ring of Georgia” is for you as every day is eventful. 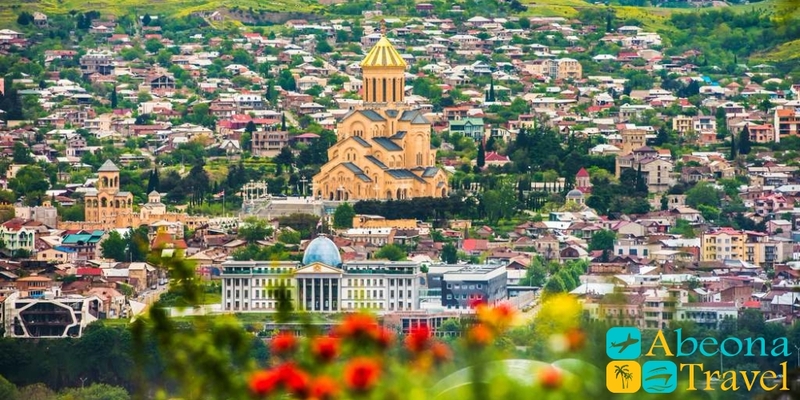 You can book Georgian tours on our web site. Fill in the following form. First come first served. Make haste or else you will be late. Starting tour “Georgian Golden Ring” from Tbilisi city tour. Narikala – founded in the IV century fortress, several times changed its name and appearance, but always remained a reliable support for local residents. Mother of Georgia – a statue symbolizing the Georgian national character having in one hand, wine bowl with wine to greet those who came as a friend, into another sword – for those who came as an enemy. The Norashen Armenian Church or the Church of the Annunciation of the Virgin – founded by Sadat in 1467 in recent years became the object of a bitter conflict between the Georgian and Armenian communities that cannot share the Soviet legacy. Metekhi Temple – a temple built on a cliff above Kura was the residence of Georgian kings. It was at this temple that Abo Tbilisi, the heavenly patron and defender of Tbilisi, died martyrically. Anchiskhati Church is the oldest surviving church in Tbilisi. Leselidze Street and Baratashvili Bridge – in the past the street was called the Armenian Bazaar, then it was named after General Konstantin Leselidze. This is the main street of the Old Town. Bridge Baratashvili is considered one of the first bridges of Tbilisi. The bridge offers a beautiful view of Tbilisi. Holy Trinity Cathedral – located in Tbilisi, on the hill of St. Ilya. This is the main cathedral of the Georgian Orthodox Church. 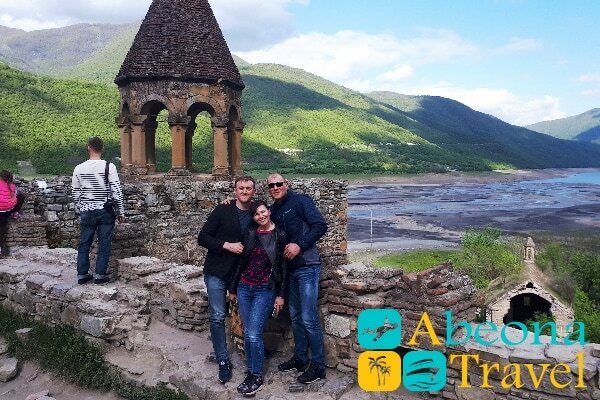 Abanotubani – presumably here the city of Tbilisi began at sulfur sources. Self-return to the hotel after the tour. Breakfast in the hotel. 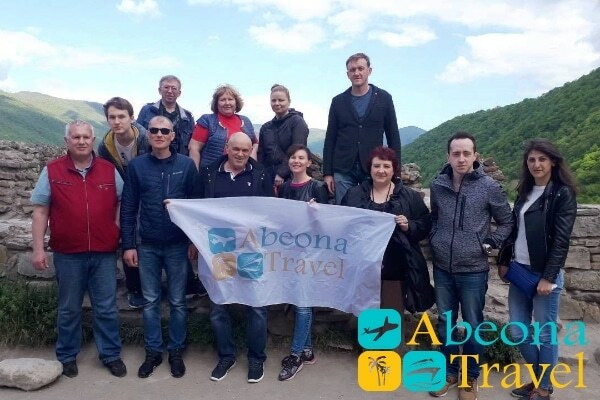 Tour to Mtskheta – the ancient capital of Georgia and its spiritual center, “the second Jerusalem”. 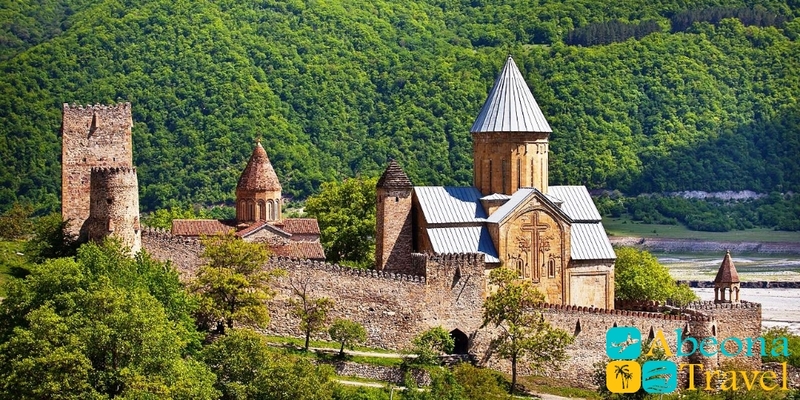 Svetitskhoveli Cathedral – the heart of Mtskheta. It was built in the 11th century on the site of the first in the state Christian church of St. Cidonia, built in the 4th century from wood. The Samtavro Monastery keeps many sacred objects: St. Nina’s bacon (Makvlovani), part of the Life-giving Pillar Svetitskhoveli, miraculous icons of the Mother of God “Iverskaya” and St. Nina, the relics of St. Abybos of Nekres and Shio of Mgvime. Friary Jvari Monastery stands on Mount Armazi. And under the mountain, indeed, the rivers Aragvi and Kura are rustling, merging with green streams. 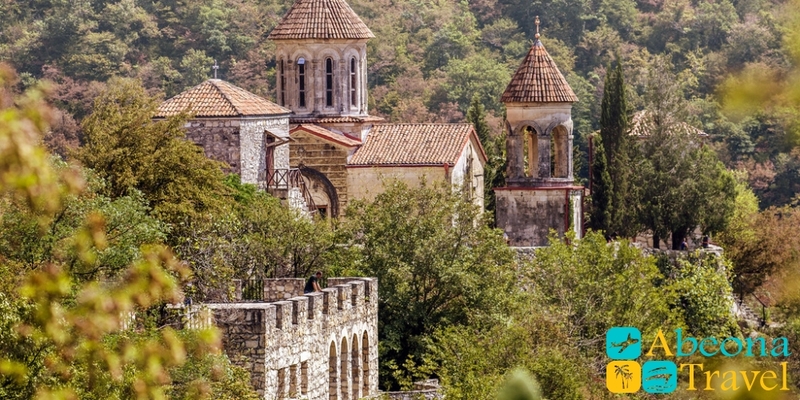 Shio Mgvime – an ancient monastery a few kilometers from Mtskheta. 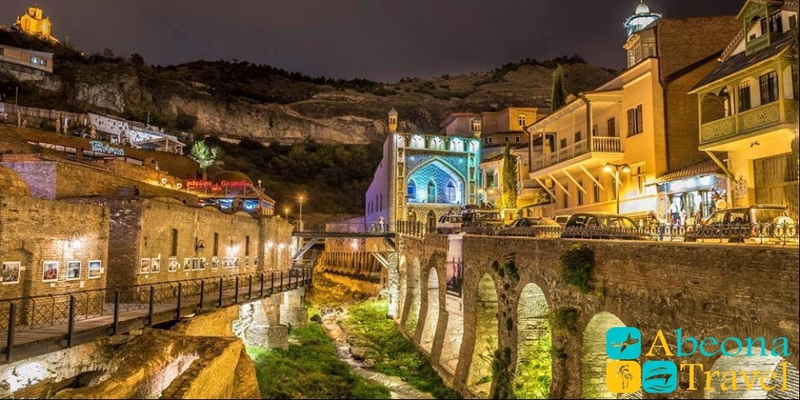 The monastery was founded in the 6th century by the monk of Shio, one of thirteen Assyrian fathers. Visiting one of the most revered in Georgia monastic complexes founded in the VI century, which proudly bears the name of Saint David Garedji. Then drive to Signakhi. 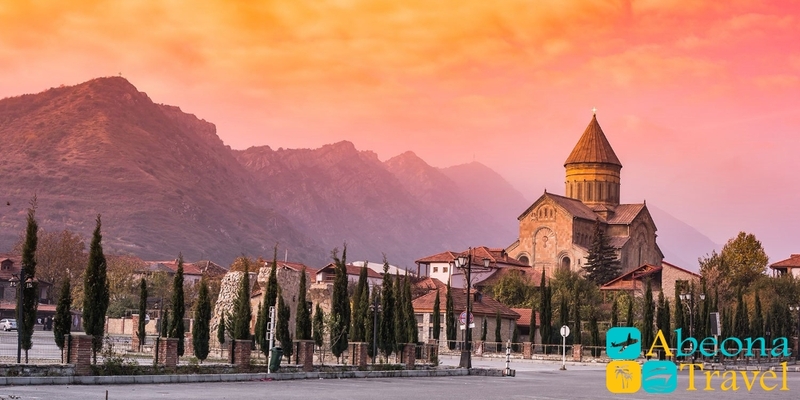 A fairy-tale city, a city of love surrounded by the Alazani Valley and the Caucasus Mountains. 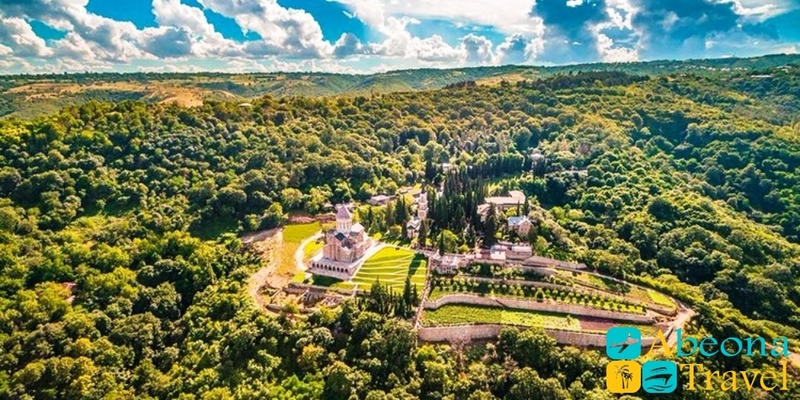 David Garedji – the complex unites 20 monasteries and the main one is the laurel of St. David, which is located on the northern slope of the mountain that separates Georgia and Azerbaijan. 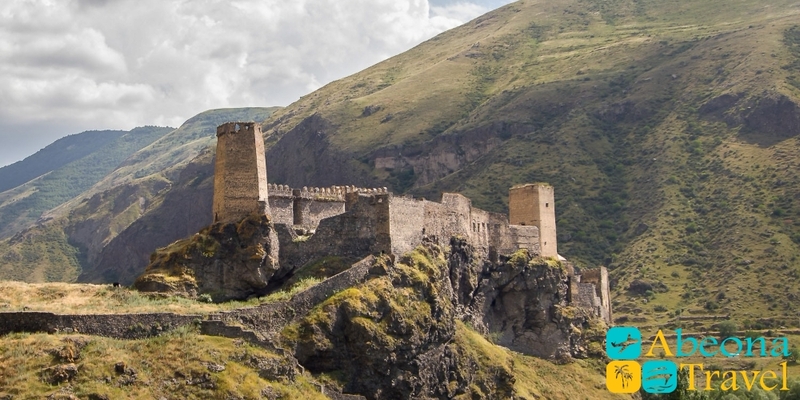 Signakhi fortress is one of the largest fortresses in Georgia, surrounded by a fortress wall and 28 watchtowers, from which a wonderful view of the Alazani Valley opens. The fortress dominates over Signakhi and is associated with the Great Wall of China. 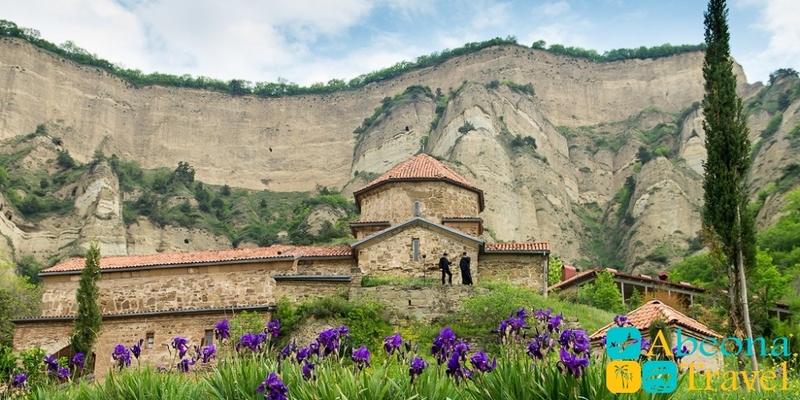 Bodbe Monastery is an Orthodox monastery where the relics of St. Nino are buried. St. Nino spring – a small brick building, where the top is the temple of Zavulon and Sosana (the parents of St. Nina), and beneath it is a swimming pool, in which you can plunge. 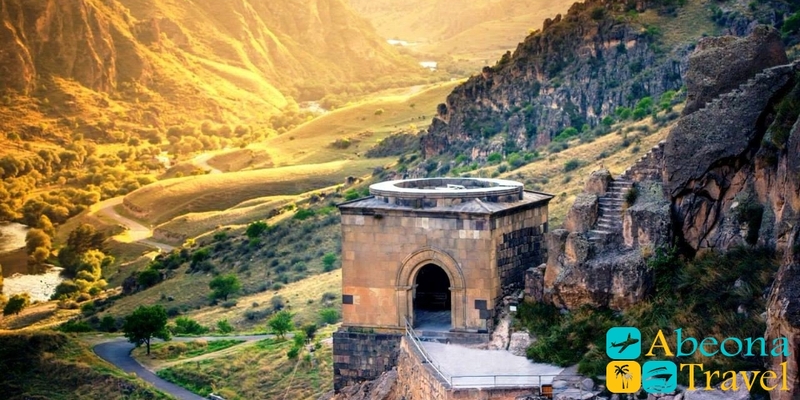 Fortress Ananuri – the fortress, which has become the arena of numerous battles. 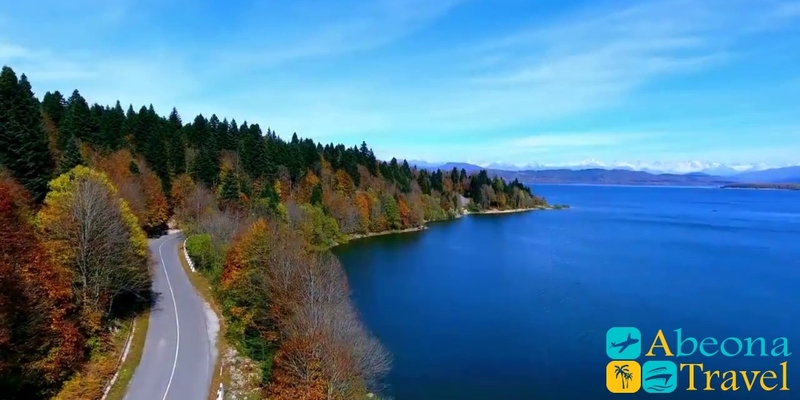 Zhinvali water reservoir – rightly considered one of the most beautiful places in Georgia. Trinity Church – founded in the 14th century is located at an altitude of 2170 meters above sea level. The Trinity Church is one of the most interesting and bright shrines of Georgia. Military-Georgian road – an exciting road through the cross pass will not leave anyone indifferent. Arch of Friendship of the Nations of Russia and Georgia with an observation platform was erected in 1983, to the 200th anniversary of the St. George’s treatise. The site is “fenced” with a giant mosaic panel depicting significant events from the history of Georgia. Today we are leaving Tbilisi and heading to the West. Here the most beautiful sights are waiting for us. And our adventure begins from Lake Paravani. Which is considered to be the largest lake in Georgia. 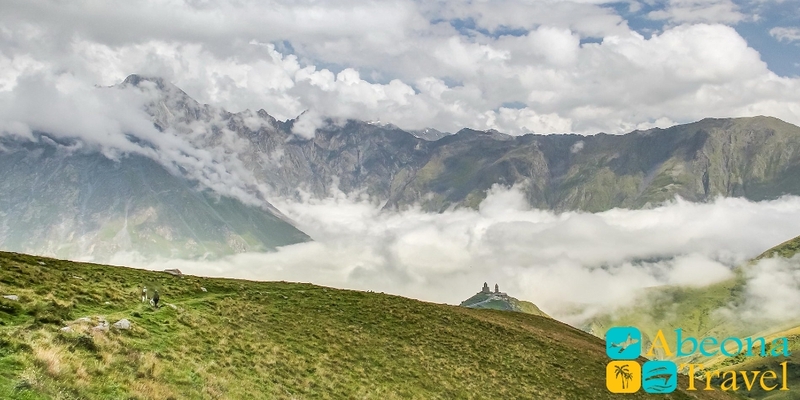 The pearl of Georgia is surrounded by alpine meadows and white sheep-clouds that float across the sky carefree. Lake Paravani – will open the veil of the mystery of the Bronze Age. After all, it was at the bottom of this lake that a burial mound of the Bronze Age was discovered. Many household utensils dated to the 4th century BC. The fortress of Khertvisi is a majestic castle, which is mentioned during the Great Silk Road. Only Alexander of Macedon managed to conquer the impregnable handsome fortress. According to legend, it was in this fortress that King David IV the Builder consecrated future King of Jerusalem – Boduin II de Burg. He was the founder of the most powerful order of the Knights Templar. 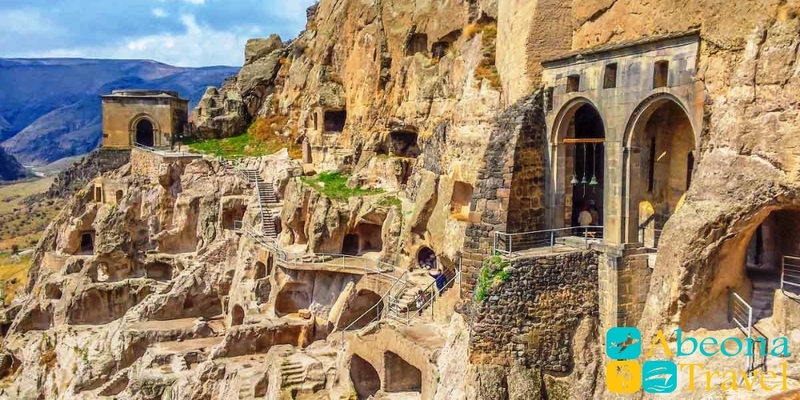 Vardzia – the cave complex is considered to be one of the main sights of Georgia. Founded in the 12th century by the greatest Georgian queen Tamara. Fortress Rabat – an ancient stone fortress is a cultural part of the city of Akhaltsikhe. The history of the fortress begins in the XII century, when Prince Djakeli founded here the first fortress. 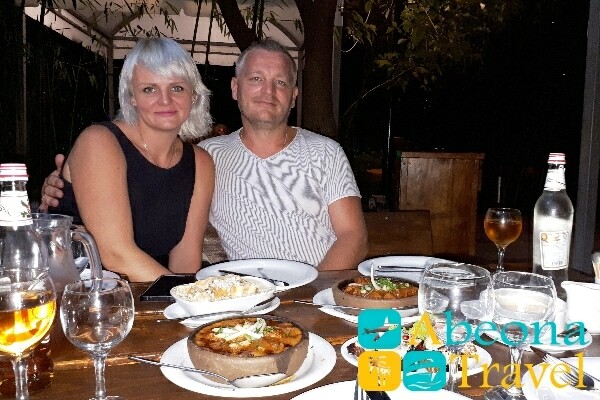 Overnight in the guest house in Akhaltsikhe. The Green Monastery is an ancient monastery, which keeps a sad history of the death of monks. On one of the walls one can see an image of St. George’s struggle with the whale. Temple of Timotesubani – consecrated in honor of the Virgin, the temple is a place of pilgrimage. It still retains unique frescoes and paintings, which were considered very difficult for that period. Prometheus Cave is the largest cave in Georgia and the main attraction of Imereti. Many guests call the cave an underground fairy tale because it is beautiful. Return to the hotel. Overnight in Kutaisi. Gelati Monastery of the Virgin is one of the main monastic complexes of Imereti, built by David the Builder. In the 12th century there was an academy sponsored by Georgian kings. Bagrat Temple, Bagrat Cathedral or simply Bagrat, so the locals like to call the temple themselves. 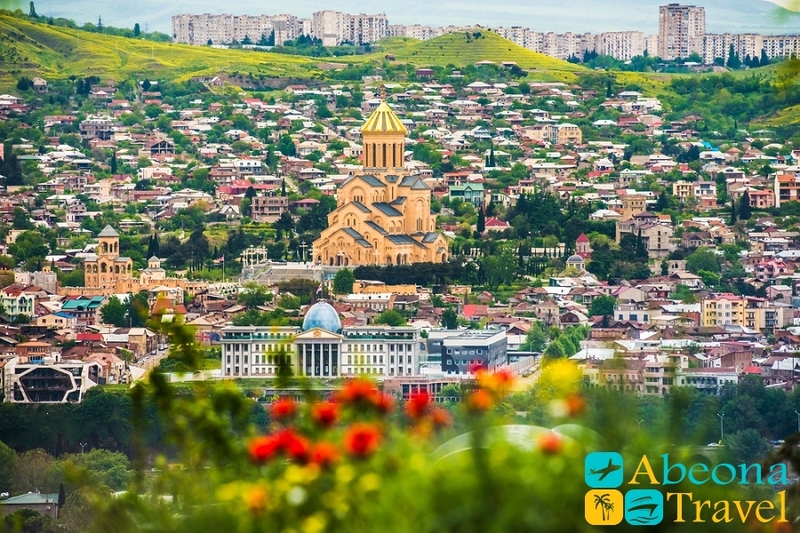 From here you can enjoy stunning views of the whole Kutaisi and the surrounding area. So except for the history here you should come to enjoy the beautiful scenery. Monastery Motsameta – is located among the rugged vegetation on top of the canyon. According to the legend, if you crawl under the altar on your knees, three times and make a wish, it will necessarily come true. Departure to Batumi. Check-in at the hotel in Batumi. Piazza is a modern symbol of Batumi, which is located in the center of the old city. Church of St. Nicholas – for more than 150 years, parishioners have come here to pray to one of the most revered saints in Georgia. 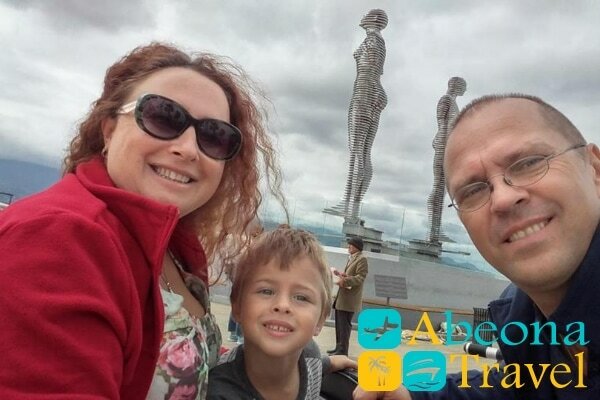 Batumi sea port – you cannot pass by and do not stroll along the embankment of Batumi, along which there are modern sights. On one side you will be surrounded by palm trees and warm sun. 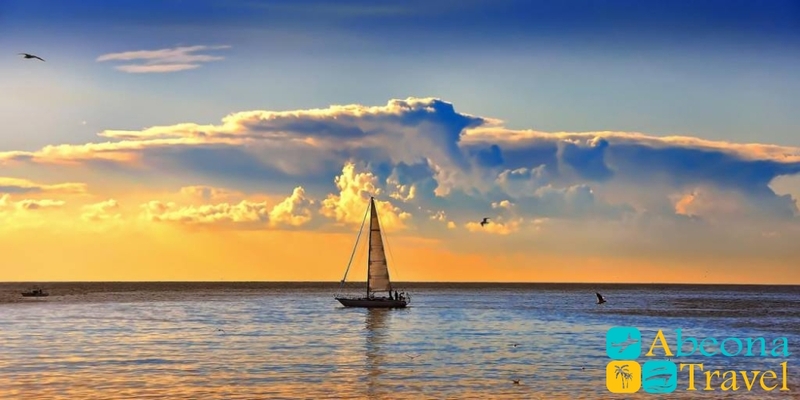 And on the other hand there will be a turquoise boundless sea. Chacha fountain – the building flaunts directly on the territory of the seaside park than it resembles a small mosque. The building is surrounded by 4 fountains of which according to the plan local moonshine – chacha should flow. Miracle park – a seaside in the center of which is a Ferris wheel. 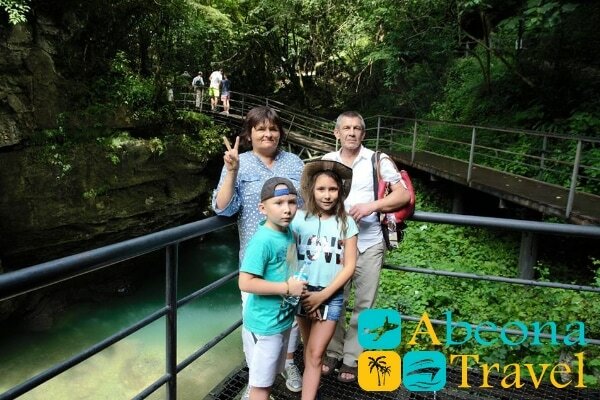 The height of the wheel is 55 meters and from the top there is a beautiful view of Batumi, the sea and the mountains. Also in the park there is a sculpture “I, you and Batumi”, lighthouse and many sights. The statue of Ali and Nino is still a modern symbol of Batumi. The statue tells about the tragic love of the Georgian princess and the Azerbaijan aristocrat. Boulevard is the main and oldest attraction of Batumi along which architectural monuments are located. Price on excursion tour Golden Ring of Georgia. The prices are given per person.